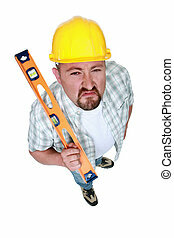 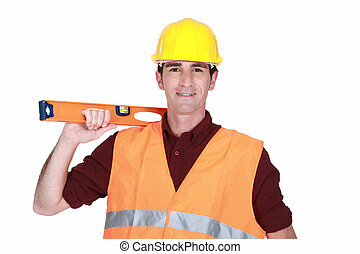 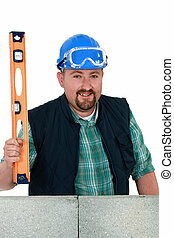 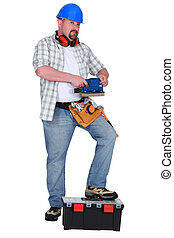 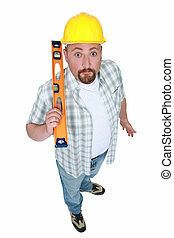 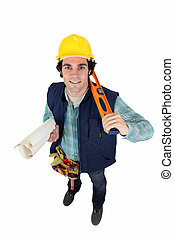 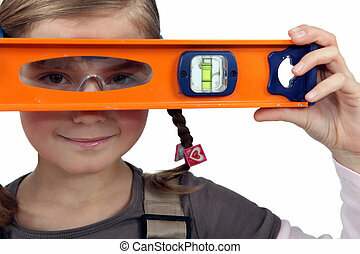 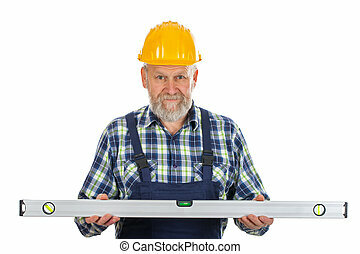 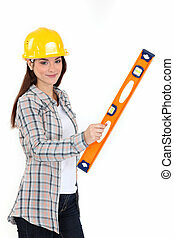 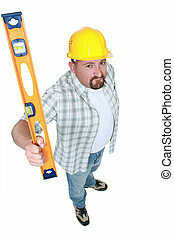 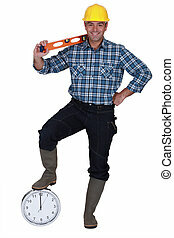 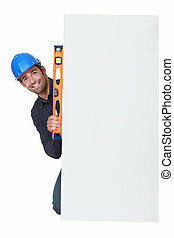 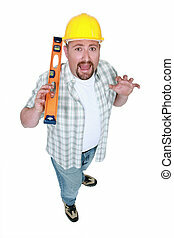 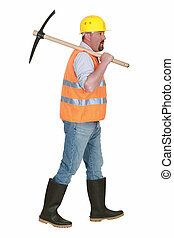 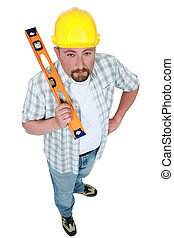 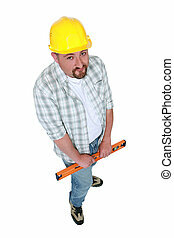 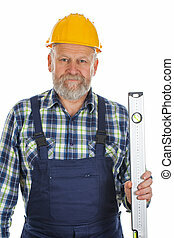 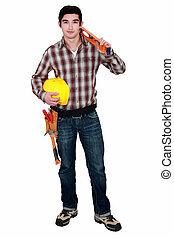 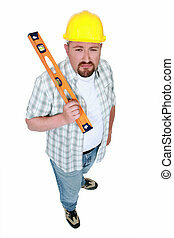 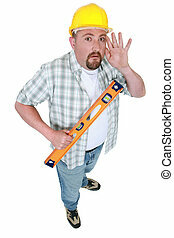 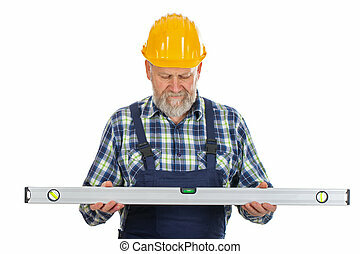 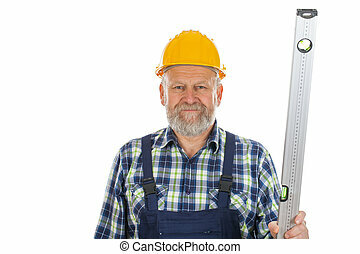 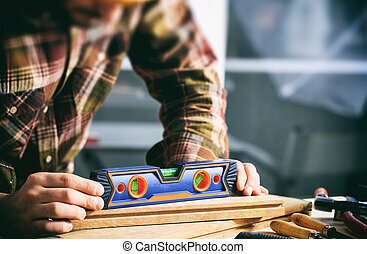 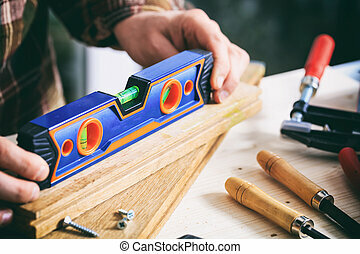 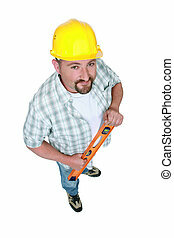 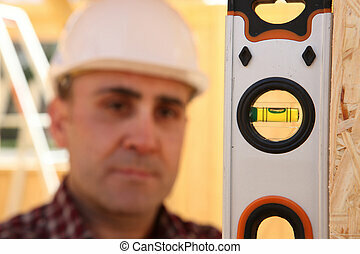 Builder with a spirit level. 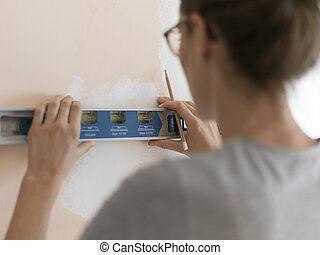 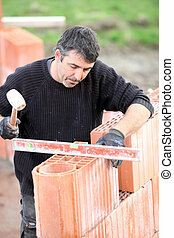 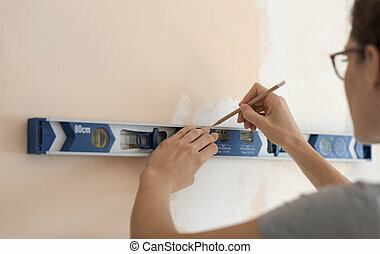 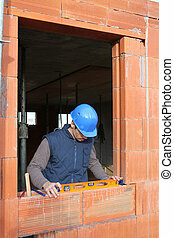 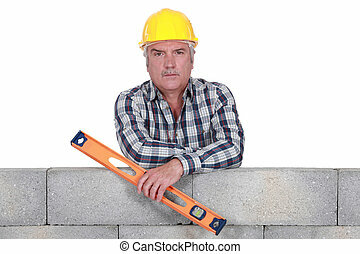 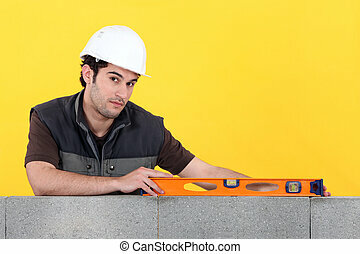 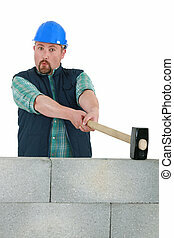 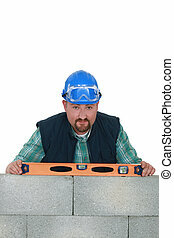 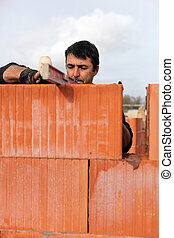 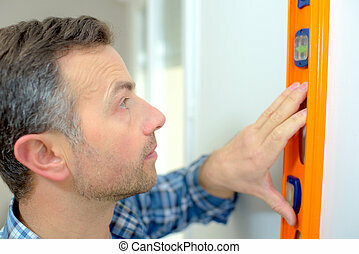 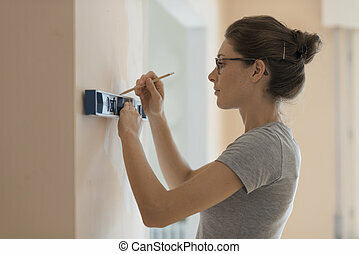 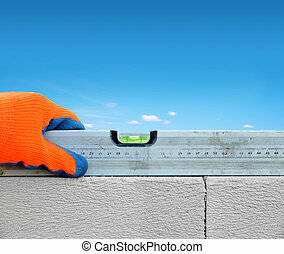 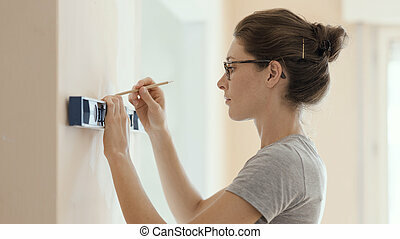 The bricklayer measures the wall with a spirit level. 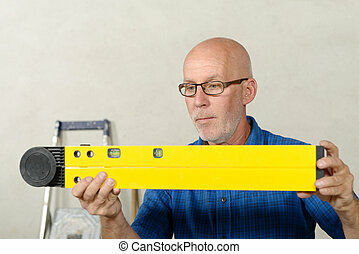 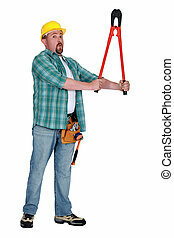 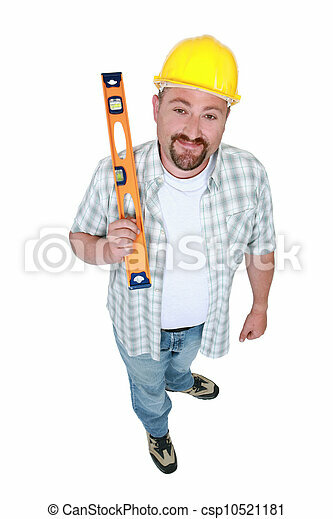 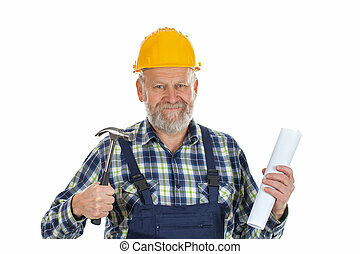 A angry handyman with a level.